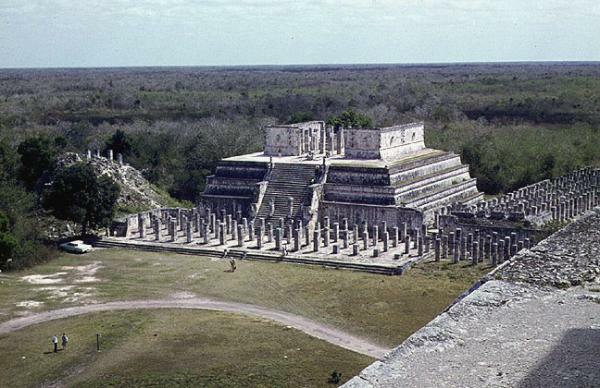 and Nedra Carvajal in 1973.
as seen from atop El Castillo. 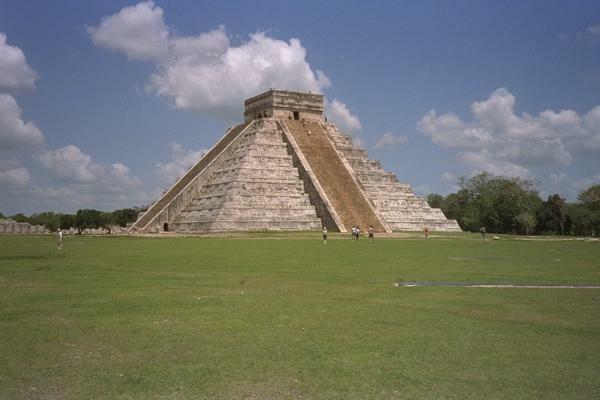 A panoramic view of part of the ruins at Uxmal. 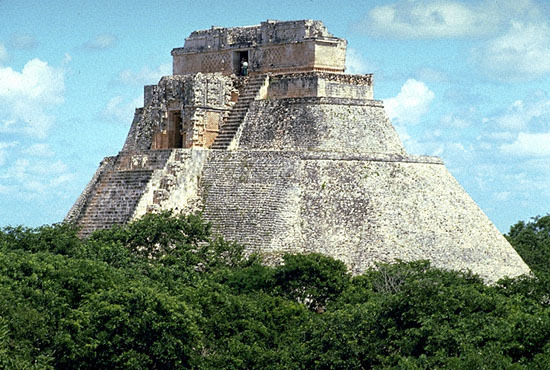 on the right and the Uxmal Ball Court in the foreground. 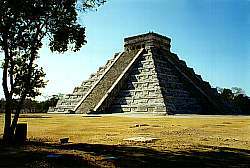 The Pyramid of the Magician is also called The Sorcerer's Temple. 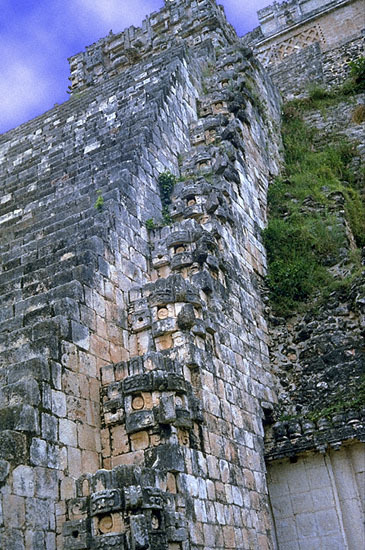 Below is a closer view of the very steep steps up to the temple. to cling to as they climb.